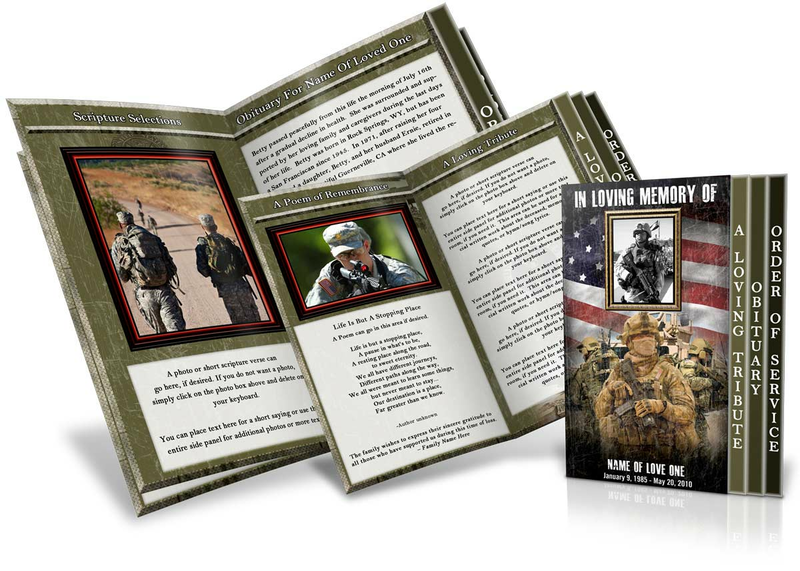 Utilizing a free funeral program template can be a wise and time saving choice. If you are interested in putting in a little creativity in the production of a funeral program design, the result can be beautiful. The first thing you need to do is download a free funeral program template for Microsoft Word. When you open the funeral program template funeral program template free on your computer, it will have the text and format already in place for you. To edit those fields, simply click on the text boxes and begin customizing your text. The free funeral program template is formatted in a two column letter size layout. There will be two pages that you will need to customize. The first page is the front cover on the right and the back of the program on the left. 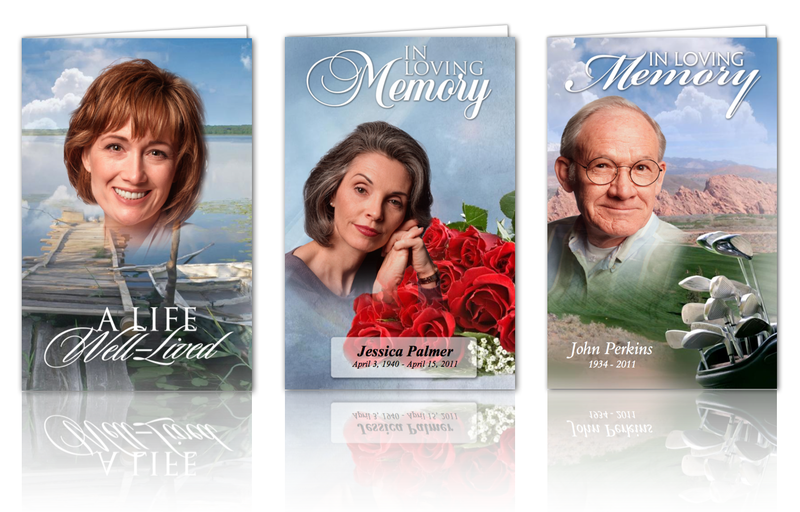 On the front cover, choose a beautiful background scene as the design that displays behind the photo of the deceased. This makes the cover more aesthetically pleasing to the eye. To select a nice photo, you can purchase it from a stock photograph online or better yet, take the photo yourself. If you purchase it online, you will need to make sure you have the proper license to print the number of copies you are going to print. The online stock companies adhere to very strict guidelines on the usage terms. So make sure you are clear about what it is you are allowed. You can also phone them and get clarification. Sometimes, the stock photo companies will charge by the amount of copies to be printed. The better option is to take a photo yourself and use that as your background. Some ideas of backgrounds would be a rolling hill landscape, floral garden, sky with light beaming through the clouds, or a lake landscape scene. All of these are good candidates for a front cover of your funeral program template. The photo of the deceased should be situated in front of the landscape design with the name of the deceased under the photo. The date of birth and date of death should also be placed under the name. You can create a title for the front cover that reads “In Loving Memory of…” or “Celebrating the Life of…” in a nice script font above the photo. These things wiill make for a nice presentation. The back of the program, which is the area adjacent to the cover on the left side of the letter size paper would include a poem, pallbearers names, short obituary, or prayer. At the very bottom, you can note the location of the funeral service, address, and phone number if you like. Also indicate whether or not there will be a gathering after the service and indicate the location. The second page is the area for the order of service. If you can fit the order of service on one side of the page, you can use the other side of the page for a poem, reading, prayer, or song lyrics. You can also add some design elements into the internal page that coordinates nicely with the cover design you just created. Funeral program templates are a time-saving tool because it will save you the time it takes to create the layout of a letter size paper program. If your not familiar with Microsoft Word or don’t have a lot of experience using it, it can be a frustrating experience doing it yourself. Utilize a funeral program template and just embellish it with your own creativity by following the above guidelines.